"You're so f**king special / I wish I was special." For all the progression, for all the electronic explorations, for all the sweltering madness that we can’t quite comprehend, it always comes back to Creep. Arguably the track that Radiohead have been reacting to since its success in 1993, Creep is both their signature song and their albatross. 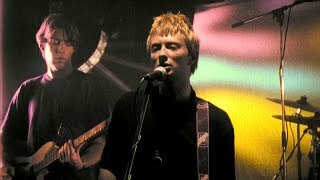 Coming off their debut album Pablo Honey, the track displayed the melancholy that Thom Yorke would become famous for and encompassed the awkward angst of a generation.